CAGAYAN DE ORO, Philippines (Mindanao Examiner / Apr. 2, 2011) – Government soldiers killed a communist fighter and captured another in a clash in the volatile southern region of the Philippines where security forces continue to battle the rebels who fighting for a separate state in the largely Catholic country. An army spokesman said troops clashed with 30 New People’s Army fighters in the village of New Tubigon in Agusan del Sur’s Sabagat town on Friday. 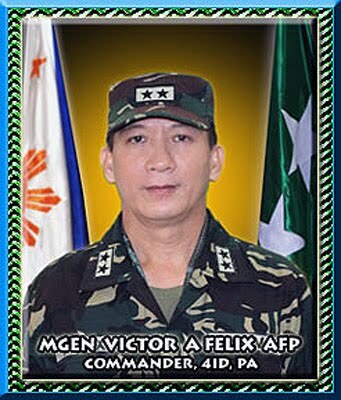 “The soldiers were on combat operations when they ran into around 30 members of the New People’s Army believed to be under Commander Salem, of Guerilla Front-21, resulting to the death of a still unidentified rebel,” said Major Julio Osias, of the 4th Infantry Division. The spokesman said soldiers also recovered an M16 automatic rifle, three rifle grenades and a claymore mine, including a pair of rifle magazines, a sniper scope and two cell phones. The fighting, he said, lasted over 30 minutes. He said another rebel was also captured by soldiers and three others surrendered later on Friday. Major General Victor Felix, the regional army commander, said the troops have been deployed in the province to track down rebel forces blamed for the string of attacks on military and police targets in Agusan del Sur. “We commiserate with the loss of the family, but we would also like to emphasize that we have a job to do which is to secure the population from the threats posed by the NPAs. Our soldiers need to be resolute when they are confronted with such threats,” he said.